A few weeks ago, I asked you to leave some questions that you’d like to ask me if you ever met me at a book signing. So, I thought it would be fun to answer a few of those questions for this week’s blog. If you think of any more questions you’d like me to answer, leave them in the comment section and eventually, I’ll answer them all. Paula Bell asked: My question would be do you ever have writers block and what do you do for it? I have never been to a book fair or festival. A friend and I are working on that. I hope sometime soon I’ll happen. 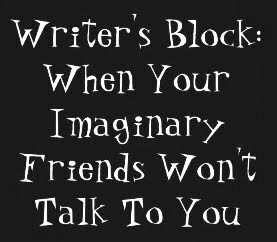 CC: Well, Paula, I don’t really believe in writer’s block. You see writing is my career, my job. My dad was a plumber and he went to work every day. I know there were days he didn’t feel like it, but he still went. He never claimed to have plumber’s block (no pun intended). He did his job, and I do mine. I don’t always feel like writing, but I make myself write. Because even if the writing isn’t that great, I can fix that later, but I can’t fix a blank page. 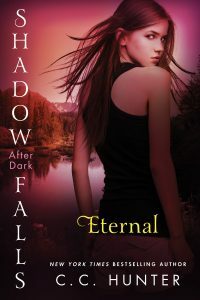 Shauna Tramutolo asked: Is there any chance of there being another book for the Shadow Falls gang? I would really love to know where they all went and what human college was like for them as supernaturals. CC: Sorry, Shauna, but I have no plans to write another Shadow Falls book at this time. That’s not to say it will never happen. Heck, I’m old enough to have learned to never say never. However, right now I’m busy writing my Mortician’s Daughter series. I started this series with my Shadow Falls fans in mind. While Riley has different problems in her life, she still reminds me a lot of Kylie. I also release my first stand alone book This Heart of mine, which is my most personal book yet. I drew on the experience I had when my husband had a kidney transplant and all the ways it impacted our lives. I also tossed in a young romance, some mystery and a touch of woowoo. BN100 asked: Would ask you how you prepare for festivals and book signings. CC: Mostly, I just want to make sure I get the word out about the event, so people turn up. I also want to be certain I’ll have enough books to sign. Then I get ready to have fun. Shania N. Soler asked: If I were to ever get the chance to meet you in person I’d probably ask a million and one questions about Shadow Falls and all its characters and the dynamic world in which you’ve set it in, though the first question I think I’d ask would be: What first inspired you to start writing? CC: First of all, I’m dyslexic, so reading and writing were difficult for me when I was growing up. So the thought of becoming a writer never occurred to me. But I did enjoy making up stories. I’d head off to my favorite place in the woods and weave all sorts of stories in my head—some went on for days. Then, in my early 20’s, I was trying to figure out what I wanted to do with the rest of my life. My hubby asked me what I wanted to do, and I said that I wanted to be a writer. Being the great man he is, he told me I should “go for it.” So I took every writing class I could, studied my favorite authors and wrote every day. It wasn’t easy and took my many years and lots of hard work to get where I am today. Kira Moericke asked: I’d probably ask how you come up with such clever sass (that everyone loves) in your characters, especially the sass in Della. As I said, leave any questions for me below and I’ll answer them in a future post. The winner from last week’s giveaway is Angie. Congratulations, Angie, you’ve won a copy of This Heart of Mine and a cool Shadow Falls bracelet. Please email me at cc@cchunterbooks.com with your postal address and I’ll send you your prize. Great answer to my question? Now for a new one. 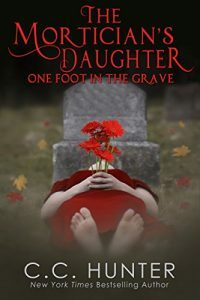 Where did the inspiration come from for Mortician’s Daughter series. I know you said you have your Shadow Falls fans in mind. To be honest it’s different than that group of wonderful characters. I love your new series. Have you had any experience with spirits? I loved all your answers ❤️!